Depending on the arrival time, this excursion begins after a quiet lunch. Camels were loaded with food, blankets and all the necessary effects for this trip that will take us through the loneliest desert. This route will discover a small oasis hidden among the dunes where we will spend the night. If we are lucky and the sky is clear we can enjoy a starry night. After enjoying a good dinner, we will light a fire. 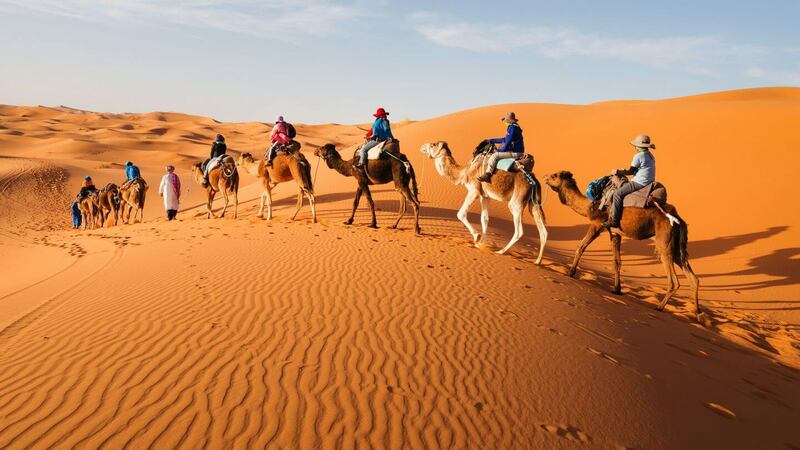 If you get up early the next morning, you will have the chance to take a walk through the dunes and watch the sun rise over the border of Algeria, a few 50 kilometers from Merzouga. You will have time to take pictures before and after breakfast, after which we will return to the lodge, ending this excursion. Pick up where you are and return to it.